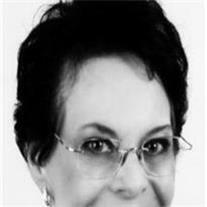 Helquist, Norlene Gae, 65, passed away Jan. 7, 2011 at the Banner Gateway Hospital in Mesa, AZ. She was born Nov. 30, 1945 in Farmington, NM to Norman Tanner and Evelyn Pipkin Tanner, now of Prescott Valley, AZ. A resident of AZ since the age of 6 mos., Gae excelled academically in the Mesa schools, graduating from Mesa High and attending beauty school locally. She was a lifelong, active member of the Church of Jesus Christ of Latter-day Saints, and served alongside her husband in the Mesa LDS Temple. She is survived by her husband of 40 years, John, her parents, sister Michele Medlyn (Ken), son Brian, daughter Shari Hanson (Paul), seven wonderful grandchildren (Dallin, Derek, Devin, Mallory, Macy, Mara, and Jett), all of Mesa, and preceded in death by her youngest sister Vicki Kerstetter. Visitation will be Thurs., Jan. 13th at the Chandler Stake Center, 1115 E. Ray Rd. in Chandler at 9 AM, with funeral services at 10 AM. Burial will be at the Blanding, Utah City Cemetery on Sat., Jan. 15th. Arrangements by Bunker’s Garden Chapel.